Lumber Liquidators is set to pay $13.2 million to end the lengthy federal case over questionably sourced lumber, reported Bloomberg Business. The questions arose in 2013 when the U.S. began an investigation into some of the foreign suppliers within the company's supply chain. Investigators took particular interested in wood sourced from forests that house the nearly extinct Serbian tigers, said the source. Lumber Liquidators stocks felt the effects of the scandal over the past year. Overall the stocks had dropped down 78 percent, noted Bloomberg. Since the announcement of the fine payments, stocks jumped back up nearly 10 percent. According to Big News Network.com, the discovery of problematic sourcing with the company was the result of a U.S. Energy Information Administration undercover investigation. The investigation was intended to expose Russian Far East illegal wood trading. The supply chains affected by this wood run all the way through China, which was where the EIA uncovered a company that cited Lumber Liquidators as its biggest trading partner. The company also confessed to illegal logging practices and bribery, reported Big News. While the announcement of these payments has seemed to help the company's overall stock, executive director of the EIA Alexander Von Bismarck does not think the money makes up for the damage the company has caused. "A $10 million fine is small compared to the destruction caused in the forests, but the real cost to the company will come from having to forego cheap, stolen wood in their supply chain while the DOJ looks over their shoulder. This will be a major adjustment," said Bismarck, according to Big News Network.com. 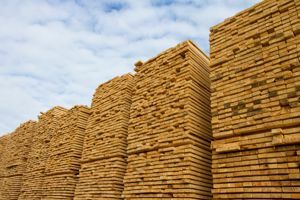 The coming months will require some serious review of Lumber Liquidators' supply management to ensure they avoid similar predicaments in the future. Similarly, spend management leaders will have to evaluate a new sourcing technique for the company at large. The federal charges brought against Lumber Liquidators directly related to the company's violation of the Lacey Act, wrote Consumer Affairs. The Lacey Act, which came into effect in 1900, prohibits the trade of illegally taken, sold or transported wildlife, fish or plants. The $13 million in fines will be split between community service payments and fines with the remainder of the money going to the National Fish and Wildlife Foundation, said the source.